The way we work and communicate today is changing. Organizations are rethinking the employee, customer, and sales experience. Forward thinking companies are embracing cloud and AI-powered technologies. Why? Recent technology advancements are enabling new ways to make employees more effective, improve customer engagement, gain competitive insights, and boost sales. Join two of the greatest thought leaders in AI and Unified Communications for an engaging presentation, discussion, and audience Q&A. Access this interactive tool to learn more about a cloud-based architecture purpose-built for hybrid IT and data center environments. Bainbridge Island School District chose EcoStruxure™ IT to ensure continued availability of its digital learning environment. Get peace of mind with Remote Data Center Monitoring and Management through EcoStruxure™ IT Expert. For enterprises, deploying Apache Hadoop to manage big data was just the beginning. The Hadoop ecosystem is evolving, and the latest trends offer new opportunities to lower cost, improve customer relationships, and develop innovative new products and services that could help businesses gain competitive advantage. 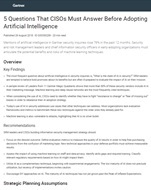 This whitepaper covers three trends that seem particularly promising; adoption of Hadoop 3, data-streaming applications, and Hadoop for the Internet of Things (IoT). Carbon Black has designed the most complete next-gen endpoint-security platform, enabling organizations to stop the most attacks, see every threat, close security gaps, and evolve their defenses. The Cb Endpoint Security Platform helps organizations of all sizes replace legacy antivirus technology, lock down systems, and arm incident response teams with advanced tools to proactively hunt down threats. Today, Carbon Black has approximately 2,000 worldwide customers, including 25 of the Fortune 100 and more than 600 employees. Carbon Black was voted Best Endpoint Protection by security professionals in the SANS Institute's Best of 2015 Awards. With global presence in over 100 countries, Schneider is the undisputable leader in Power Management - Medium Voltage, Low Voltage and Secure Power, and in Automation Systems. We provide integrated efficiency solutions, combining energy, automation and software. In our global Ecosystem,we collaborate with the largest Partner, Integrator and Developer Community on our Open Platform to deliver real-time control and operational efficiency.